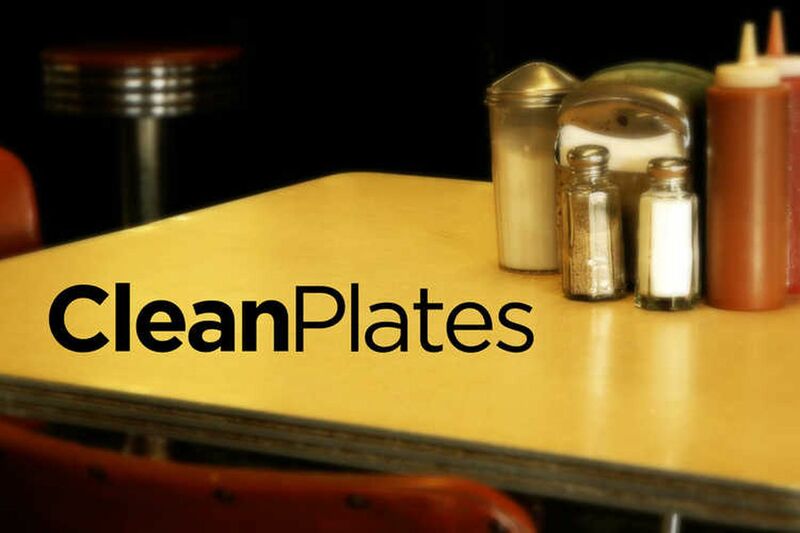 Mice are taking center stage again in this edition of Clean Plates. There were gnawed foods found on a chip rack; droppings on food prep areas including heavy accumulation of mouse feces on a dough mixer, and dead mice in traps. A live mouse even ran from under a range to a refrigerator as an inspector was conducting an exit interview. Talk about nerve. Or was it a death wish? From Jan. 16 to Jan. 31, Philadelphia health inspectors closed at least 23 facilities for various violations. Location of Dunkin' Donuts, 1500 Spring Garden St. Hot water was not available at sinks throughout the facility; sausages inside the prep unit were not held at proper temperatures; soap was not available at the handwash sink in the restroom; a scoop in the ice machine was in direct contact with ice; there was a loose floor panel in the walk-in freezer; debris was found along the floor perimeters; alterations or construction began prior to a plan submission and approval. Due to conditions observed during the inspection, the establishment agreed to discontinue food operations and voluntarily close until it is approved by the Department to resume operations. Inspected Jan. 30. A plate in a pot of cooked rice was being used as scoop. the plate did not have a handle needed to prevent contaminating food with hands; potentially hazardous food including rice and ox tails, were not held at the required temperature; potentially hazardous ready-to-eat food including rice, ox tail, gravy prepared in the food facility and held for more than 48 hours, located in the refrigerator, were not marked with the dates when they were prepared; cutting boards had deep scratches and scoring not allowing for effective cleaning and sanitizing; there was no sign or poster at the handwash sink in the bar areas to remind food employees to wash their hands; paper towels were not available at handwashing sink in in prep area; the handwash sink in the food prep area was blocked by prep table and not accessible at all times for employee use. Due to imminent health hazards observed during this inspection, the establishment was issued a Cease Operations Order and must discontinue food operations immediately. The establishment could not operate for a minimum of 48 hours. Inspected Jan. 28. Location of Kiddie City II Day Care, 616 S 52nd St.
A person in charge was not present at the food facility during all hours of operation. Due to conditions observed during the inspection, the establishment agreed to discontinue food operations and voluntarily close until it is approved by the Department to resume operations. Inspected Jan. 28. There was no hot water readily available at the handwash sinks; the food facility was not able to provide proper documentation including a menu, receipts, a letter from a licensed food provider, invoice, delivery schedules/dates to show that foods are from an approved source; soiled reusable utensils and bowls were found in the sink and drawers; this facility did not have a warewash sink therefore only disposable dishes and utensils may be used; there were non-commercial cabinets in the kitchen; an unapproved microwave was in the kitchen; there was dust accumulation on the vent cover in the restroom; a mop was stored in direct contact with the floor instead of elevated on a utility rack; the kitchen light is not shielded. Due to conditions observed during the inspection, the establishment agreed to discontinue food operations and voluntarily close until it is approved by the Department to resume operations. Inspected Jan. 25. There was a dead mouse on a blue trap; mouse feces and debris were found throughout the facility; there was an accumulation of burned food residue on the flat top grill and an accumulation of grease on the inner sides of deep fryer and grill and on hood ventilation system; potentially hazardous ready-to-eat seafood salad, mashed potatoes, sauces, tuna salad, and greens prepared in the food facility and held for more than 48 hours, located in the walk in cooler, that were not date marked with date they were prepared; the cold-holding units were not holding foods at proper temperature; there was a nonfunctional refrigerator; a domestic freezer was found; there were waste receptacles in the prep area that didn’t have lids. Due to imminent health hazards observed during this inspection, the establishment was issued a Cease Operations Order and must discontinue food operations immediately. The establishment could not operate for a minimum of 48 hours. Inspected Jan 24. 11th & Tioga Mini Market Inc. Mouse droppings were found in the food prep area; sponges in the food prep area were stored on top of warewash sink; soap was not available at the handwash sink in the food prep area; a person in charge was present at the food facility during all hours of operation; cutting boards had deep scratches and scoring not allowing for effective cleaning and sanitizing; plastic soda & milk crates were being used for elevation of beverages and other food related items in retail and basement areas; aluminum foil was wrapped over the food presser in the food prep area; barewood shelving was used for food storage in basement area; grease and static dust accumulations were found on food equipment; a mop was stored in bucket of murky water; brooms and a dustpan were stored directly on the floor and not elevated to prevent harborage of rodents and insects; dirt, food debris, and droppings were found on the floor throughout food establishment. Due to conditions observed during the inspection, the establishment agreed to discontinue food operations and voluntarily close until it is approved by the Department to resume operations. Inspected Jan. 22. Location of Ramayana, 1740 S 11th St. Mouse droppings were in direct contact with foods and food storage containers on shelves in the food preparation area and uncovered food in the dining area, and on the same shelf as food equipment and single service articles in the food preparation area and in the basement; the front door of the facility does not protect against the entry of insects, rodents, and other animals; there was grease accumulation on shelves, the hood and on grate of protective light bulb shield underneath exhaust hood; Unused refrigerator observed near restroom area; the food safety certified individual was not present at the start of the inspection; soap was not available at the handwash sink in the food preparation area; the handwash sink in the food preparation area was blocked by a colander and not accessible at all times for employee use; a hand washing sink was being used as a food preparation sink and there was no indirect waste drain connection with at least a two-inch air gap to prevent backflow found; there were cracked floor tiles in food preparation area. Due to imminent health hazards observed during this inspection, the establishment was issued a Cease Operations Order and must discontinue food operations immediately. The establishment could not operate for a minimum of 48 hours. Inspected Jan. 22. Employee was wiping the slicer with paper towel and cut their finger, the slicer was not cleaned; slicer had an accumulation of food residue on the food contact surfaces and was not being washed, rinsed and sanitized at least every four hours; food employees were washing their hands at the three compartment sink rather than the designated handwash sink; there was no sign or poster posted at the handwash sink in the food preparation area to remind food employees to wash their hands; potentially hazardous ready-to-eat food including cheeses, prepared in the food facility and held for more than 48 hours, located in the walk-in cooler, were not date marked; mayo was held at improper temperature; moist wiping cloths were lying on counter top and not stored in sanitizing solution; a cellphone was found on food preparation table next to the slicer; there was no vent cover in the toilet room. Fruit flies were found near the warewashing area and by the wall where the cold holding unit is in the retail area; a live cockroach on a trap was found in the cabinet next to the handsink; dead cockroaches were under the cabinet near the drain and in the cabinet on a sticky trap; a general cleaning was needed under and around all equipment; food debris was found throughout the facility including syrup found on the wall of the retail area by the cold holding unit; the vent above the ice machine had an accumulation of dust. Due to conditions observed during the inspection, the establishment agreed to discontinue food operations and voluntarily close until it is approved by the Department to resume operations. Inspected Jan 22. There was a dead mouse in a trap in the kitchen beside the display case; there was a sewage/waste water leak found when water from sinks/toilets did not properly drain out due to broken pipe causing an overflow of water onto the basement floors; several food items including deli meats, eggs and butter were not held at the required temperature; opened commercially processed ready-to-eat food including deli meats and cheese, located in the display case and held more than 48 hours, were not marked with the date they were opened; there were wood shelving surfaces in the basement; there were open seams in the walls in kitchen/prep area; there was an unapproved deep freezer and microwave oven found. There was no hot water at all the handwash sinks in the facility; water was brown in coloration; food employee could not follow proper handwash procedures due to the lack of warm water; there was an unlabeled smoothie in the refrigerator; the vents needed cleaning. Location of Torres Grocery Store. 2466 N Colorado St.
Fresh mouse droppings were found in a box with fudge rounds, on shelves in the email retail area and by the perimeter of walls in the basement area; the handwash sink in the kitchen area was blocked by utensils and not accessible at all times for employee use; the toilet room door was not self-closing; water damaged ceiling tiles were in the kitchen area; the person in charge did not demonstrate adequate knowledge of the PA Food Code; the person in charge did not know the symptoms, names and actions to be taken if an employee is showing signs of a foodborne illness. Due to imminent health hazards observed during this inspection, the establishment was issued a Cease Operations Order and must discontinue food operations immediately. The establishment could not operate for a minimum of 48 hours. Inspected Jan. 20. A live mouse ran from under the range to the refrigerator as the inspector was conducting the exit interview; mouse droppings were found under the shelf adjacent to the stove; live roaches were found on the stove hood and on a shelf; the hood filters had an accumulation of static dust and grease; common bowls or food containers without handles were in direct contact with bulk food ingredients; there was a domestic unapproved deep freezer in use; the reach-in freezer was missing a fan guard. Due to imminent health hazards observed during this inspection, the establishment was issued a Cease Operations Order and must discontinue food operations immediately. The establishment could not operate for a minimum of 48 hours. Inspected Jan. 19. Several uncovered foods were found in the chest freezers and walk-in cooler; an unapproved chlorine bleach were used as sanitizer; working bulk food ingredient storage containers were not labeled with the common name of the food; plastic crates were used for elevation instead of approved dunnage racks; the garbage grinder was improperly installed on a shallow wall-mounted handwash sink; there was a defective reach-in freezer in the food prep area that was not in use; unapproved rice cooker, electric kettle and toaster oven were in the food prep area; the outside trash receptacles were uncovered; the rear storage area was cluttered; employee clothing and personal were stored among retail item; the food safety certified person was not present during inspection; the person in charge was unable to properly properly demonstrate how to wash, rinse, and sanitize dishes and utensils. Due to conditions observed during the inspection, the establishment agreed to discontinue food operations and voluntarily close until it is approved by the Department to resume operations. Inspected Jan. 18. The food safety person was not present. Due to imminent health hazards observed during this inspection, the establishment was issued a Cease Operations Order and must discontinue food operations immediately. The establishment could not operate for a minimum of 48 hours. Inspected Jan. 18. Location of Gloria Food Market, 1362 Unity St. Sufficient hot water was not available at the handwash sinks throughout the facility; opened cheese in the cold-hold unit from previous days, was not date marked; a backflow prevention device was not installed on the main water line; the slicer had a heavy accumulation of encrusted food residue; a non food grade bleach was being used to sanitize food-contact surfaces; there was an unapproved domestic freezer and microwave; an unapproved soda crates was being used for elevation/storage; the floors and walls in the food preparation area had an accumulated of debris and residue; under the cashier counter, under/around all of the refrigeration equipment and around the perimeter of the whole facility needed cleaning; the person in charge did not have knowledge of the employee health policy and did not know the proper wash-rinse-sanitize cleaning process; the retail wall vent needed cleaning due to a heavy accumulation of dust; there were holes in the ceiling above the deli and retail area; cardboard was found on the floor and wall by the store entrance; there were missing floor-wall base coving in the front prep area; there were unsealed bare wood surfaces in the front prep area by the handwash sink. Gnawed foods were found on the chip rack; mouse droppings were on the beverage storage shelves in the basement and under the snack shelving unit in the retail area; a dead mouse was found on a trap in the basement; the food safety certified person is operating an establishment in unsanitary conditions; non potable wastewater was observed in the basement; dust was found in the vents in the refrigeration units; water damaged ceiling tiles were in the rear storage area; brooms, dustpan, and a mop were observed on the ground rather than hanging. There was a heavy accumulation of mouse feces on the dough mixer, on food containers of flour and sugar in the bakery, on the floors in both bathrooms, on the floor perimeters of the kitchen, underneath the food prep counter in the front, by floor perimeters of the bakery, on floors in the rear storage area, on containers of grease located on the floor in the kitchen area, and on the top surfaces on the food prep table in the rear storage area; a live roach was crawling on a box next to the food prep sink in the kitchen; another live roach was on glue board inside the bathroom located in the kitchen area; dead roaches were on glue boards in the bakery and bathroom; an employee was cleaning fish on the floor in the kitchen prep area; some foods in the refrigerators and walk-in cooler were uncovered; the handwash sink in the kitchen food prep area and bakery area were blocked by equipment, utensils and food and not accessible at all times for employee use; the person in charge was not at the facility at all times; there was a leaky faucet on the warewashing sink; there were gaps and holes around utility lines; the floor areas were uneven and damaged throughout the facility. There was food debris and ice accumulation inside of reach-in and deep freezer; the paper towel dispenser empty at the handwash sink in the toilet room area; the food safety certified person not present at time of inspection; the food facility lacked a indirectly drained food prep sink or a variance for a colander for washing lettuce, tomatoes, green peppers and other vegetables; the slicer had an accumulation of food residue on the food contact surfaces and was not being washed, rinsed and sanitized at least every four hours; the inside of the reach-in and deep freezer had food debris and ice accumulation; there was an unapproved cardboard liners being used on shelving in cold hold unit; a domestic chest freezer was in-use; there were rusted surfaces in the reach-in unit; there were missing/cracked floor tiles throughout. Due to conditions observed during the inspection, the establishment agreed to discontinue food operations and voluntarily close until it is approved by the Department to resume operations. Inspected Jan. 17. Location of Bravo Deli & Seafood House, 5734 N 2nd St. The toilet room fixtures were not clean to sight and touch; hot water was not readily available in the toilet room and warewashing area hand sink; the handwash sink in the food prep area and toilet room did not have single use towels, continuous towels, or air drying device; food left uncovered in the refrigerator units was not protected from contamination; ice accumulation found in the walk-in freezer unit; the can opener had an accumulation of food residue on the food contact surfaces; the slicer had an accumulation of food residue on the food contact surfaces and was not being washed, rinsed and sanitized at least every four hours; chemicals were stored above or on the same shelf with food, equipment, and/or single service articles in the food prep, retail, and front serving area; there were water stained ceiling tiles in the food prep and customer areas; missing ceiling tiles observed throughout the establishment; perforated ceiling tiles were found throughout the establishment; there was food debris at the bottom of all refrigerator equipment; shellstock tags were not maintained for 90 days from the date the container is emptied. There were mouse droppings found throughout the facility including under the front service counter, under and besides refrigeration unit in rear area, around warewash area and under shelving in storage area; chemical sanitizer was not being used on equipment and utensils after washing and rinsing them, and prior to use; a trash can was not found at the handwash sink in front service area; there was uncovered ice in ice bins in front and window service areas; brooms and dustpan were on floors and not hanging in the mop sink area. Due to imminent health hazards observed during this inspection, the establishment was issued a Cease Operations Order and must discontinue food operations immediately. The establishment could not operate for a minimum of 48 hours. Inspected Jan. 17. Black residue observed on the interior of the ice machine bin. Person in charge discarded the ice and sanitized the machine; the paint in the liquor room was peeling; a rusted hanging vent was found in the main dishware area; food employees were donning single use gloves without a prior hand wash; the automatic soap dispenser in the main dishwashing area was defective; there was a pitcher and limes in the handwash sink in the front kitchen area and not accessible at all times for employee use; the chlorine concentration in the sanitizing solution of the warewashing units were not at the required level. Due to conditions observed during the inspection, the establishment agreed to do a partial voluntarily closure until it is approved by the Department to resume full operations. Inspected Jan. 16. Roaches, including nymphs, a white roach was found, and small to large size roaches, were found in the food prep area/warewashing area; roaches were coming from a metal beam located on top of base coving under three compartment sink; drain flies were found throughout establishment including the rear prep area, front dining area, warewashing area; working bulk food ingredient storage containers were not labeled with the common name of the food; cutting boards had deep scratches and scoring not allowing for effective cleaning and sanitizing; there was low grout observed between floor tiles in warewashing/prep area; there was a potential rodent harborage areas inside the food facility under the warewashing sink area where loose fitting steel wool was used to caulk pipe. Due to imminent health hazards observed during this inspection, the establishment was issued a Cease Operations Order and must discontinue food operations immediately. The establishment could not operate for a minimum of 48 hours. Inspected Jan. 16.